Bookstores near La Sorbonne ? Gibert Joseph, both new and used books (mostly French) are on maximum display here. 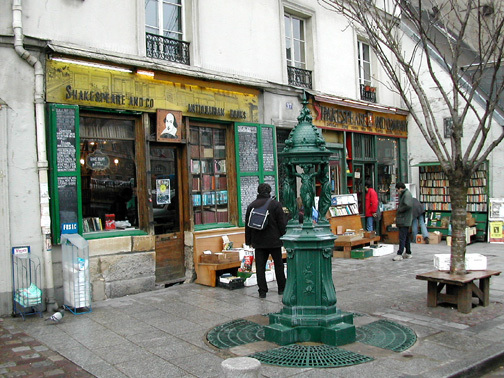 Shakespeare and Company, the most famous of English bookstores in Paris. 37 rue de la Bucherie near métro Saint-Michel. Abbey Bookshop, secondhand English bookshop. 29, rue de la Parcheminerie, Metro/RER: St-Michel. Most booksellers are open daily from around 11:30 am to sundown, and close during national holidays and in the case of heavy rain or storm conditions. Left-bank locations: Seine-side from Quai de la Tournelle (Metro Maubert-Mutualité) to Quai Voltaire (Metro Saint-Germain-des-Prés).